This Summer I am a Fellow at the Radcliffe Institute for Advanced Study (RIAS) at Harvard University. 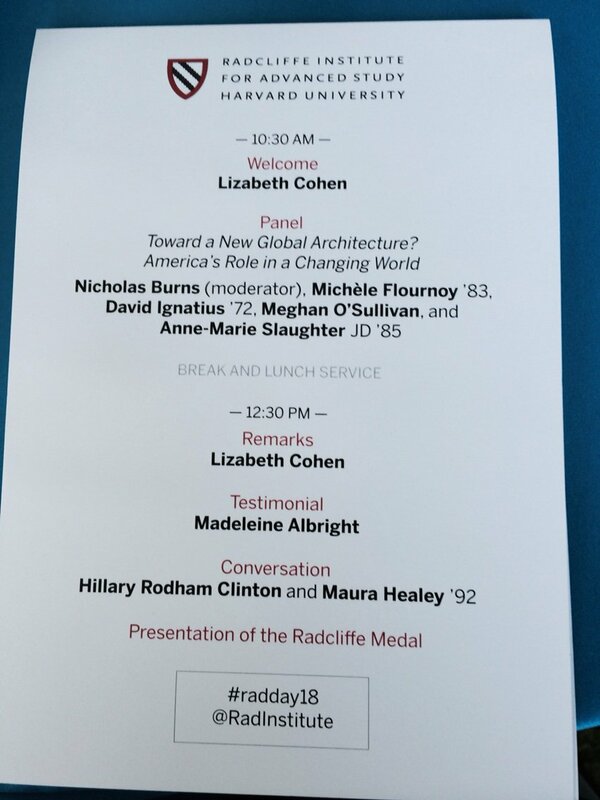 I was a Science Fellow at RIAS in 2005-2006, which was a momentous year since, that year, the Dean of Radcliffe, Dr. Drew Gilpin Faust, was named the first female President of Harvard University and succeeded Dr. Larry Summers. She has had a fabulous tenure as President of Harvard and the new Harvard President will be Dr. Larry Bacow. Some faculty enjoy taking a break over the summer, I enjoy being challenged. 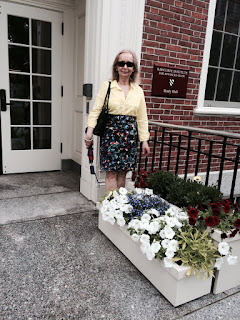 Last summer, I also was a Fellow at RIAS and loved the experience. I was honored when I was invited back. The Fellows have offices in Byerly Hall, which is situated in the beautiful Radcliffe Yard. 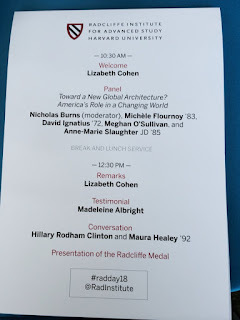 I must say that my experience this summer began when I returned to Radcliffe on May 25, 2018, for the truly special Radcliffe Day, at which Hillary Clinton was awarded the Radcliffe Medal and the day was filled with wonderful panels, talks, including speeches by Madeleine Albright and Hillary, of course, and a delicious lunch, with the Dean of Radcliffe, Dr. Liz Cohen, officiating and she did a stupendous job! I was delighted to see several of the Radcliffe Fellows in my 2005-2006 cohort at Radcliffe Day, including Science Fellows Rina Dechter of UC Irvine and Diane Souvaine of Tufts, both computer scientists, so we took the photo in the garden below as a memento. Diane is now the Chair of the National Science Board - very impressive! 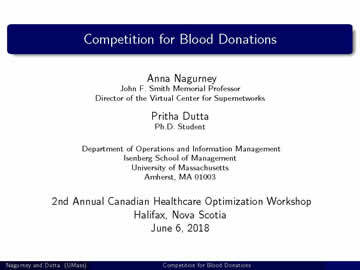 During my Summer Fellowship at Harvard University, I am working on a project very near and dear to me: Perishable Product Supply Chains from Food to Blood. and, in addition, to interacting with other fellows and even meeting students working with fellows (today I had lunch with a female computer science major at Harvard who is from Amherst and went to Amherst High School! ), I always enjoy hosting visitors since Cambridge/Boston is such an international magnet. 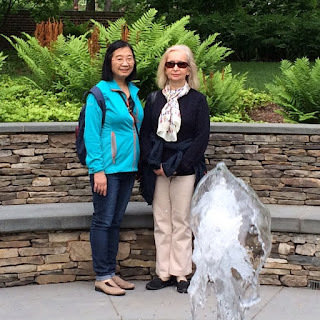 On May 28, 2018, I had the pleasure of showing Professor Kei May Lau, a distinguished professor from the Hong Kong University of Science and Technology (HKUST), who was in town attending a conference at MIT, the lovely sunken garden at Radcliffe. Kei May was a Professor at UMass Amherst before moving to HK and is a dear friend. And, in just a short time, I have solved some problems, revised and resubmitted a paper to a journal with several co-authors from different countries, and have finalized the book: Dynamics of Disasters: Algorithmic Approaches and Applications, that I co-edited with Illias S. Kotsireas and Panos M. Pardalos, which is now in press with Springer Publishing International Switzerland. I also (and it was so convenient) had the pleasure of taking part in the Isenberg School's Business Leadership Awards gala at the Colonnade Hotel in Boston last Thursday. 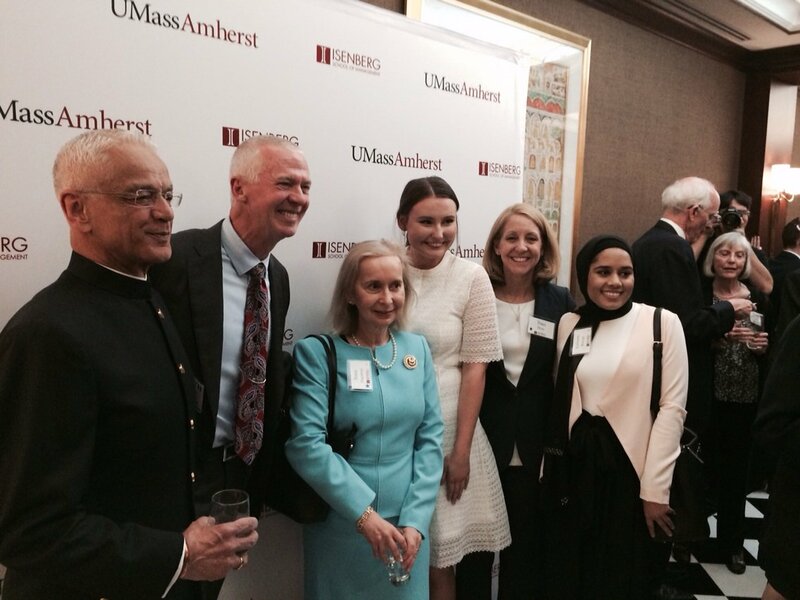 The photo below is with several of my former students (now alums) and colleagues, including the Isenberg School Dean Mark A. Fuller, who is stepping down after 9 years of terrific leadership of our business school at UMass Amherst. More adventures await! 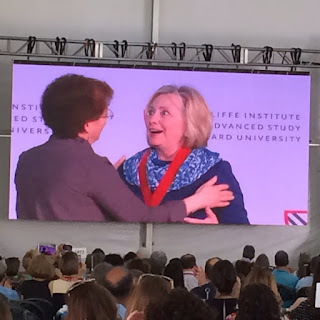 Many thanks to the Radcliffe Institute for Advanced Study for the wonderful support of extraordinary intellectual life! My Former PhD Students Continue to Amaze Me! One of the greatest gifts of being a professor is seeing one's students graduate and continue to thrive in their chosen careers. In the case of PhD students in Operations Research/Management Science, some go on to assume academic appointments and continue to educate generations of their own students, whereas others may elect to make an impact in industry and become practitioners and/or entrepreneurs. 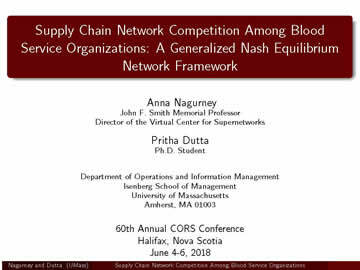 As the Founding Director of the Virtual Center for Supernetworks, which I established in 2001 at the Isenberg School of Management at UMass Amherst, I continue to be amazed by the accomplishments of my former PhD students (I have chaired the doctoral dissertations of 20 students). Many have continued their association with the Center as Center Associates, an affiliation that provides a vigorous professional and support mechanism. Also, as the Director of the Center, I share three newsletters that are published per year, documenting the activities and accomplishments. 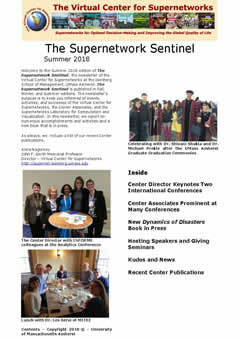 I am pleased to announce that the Summer 2018 edition of the newsletter, The Supernetwork Sentinel, is now available online. It reflects what I believe are some truly awesome accomplishments, which merit further highlighting. 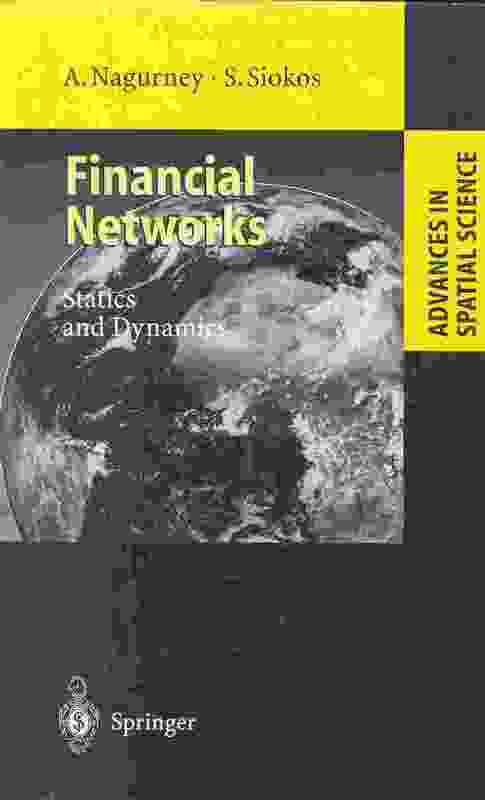 For example, my former UMass Amherst doctoral student, Dr. Stavros Siokos, with whom I co-authored the Financial Networks book, has had an amazing career in finance. Stavros is now the Managing Partner of the London-based Astarte Capital Partners, which he co-founded in 2015. He recently launched a new program for investing in the education of underprivileged youth, an initiative, which demonstrates generosity and heart and also corporate social responsibility. I was very touched to read the interview with Stavros on his initiative, which appeared in Institutional Investing in Infrastructure. In the interview, he states: As far as I am aware, we are the first private equity firm to be committed toward allocating part of our profitability for such an initiative. We are also looking to bring this effort to a wider audience of asset managers so that the initiative has a much larger impact. Another former doctoral student of mine, Professor Zugang "Leo" Liu, who is a tenured Associate Professor at Penn State Hazleton, is behind an initiative to start a new degree in project management and supply chain management which will provide a much needed educated and highly skilled workforce. Penn State issued this press release describing the new bachelor's degree. Professor Patrick Qiang, with whom I co-authored the Fragile Networks book, and his dissertation received the Charles Wootan Award, also a tenured faculty member at a Penn State campus, was part of a delegation to China that visited 5 universities to enhance relationships and partnerships. The press release with details can be read here. What truly impresses me about my former PhD students is their ability to lead and to conduct research that crosses boundaries and that makes a positive impact. 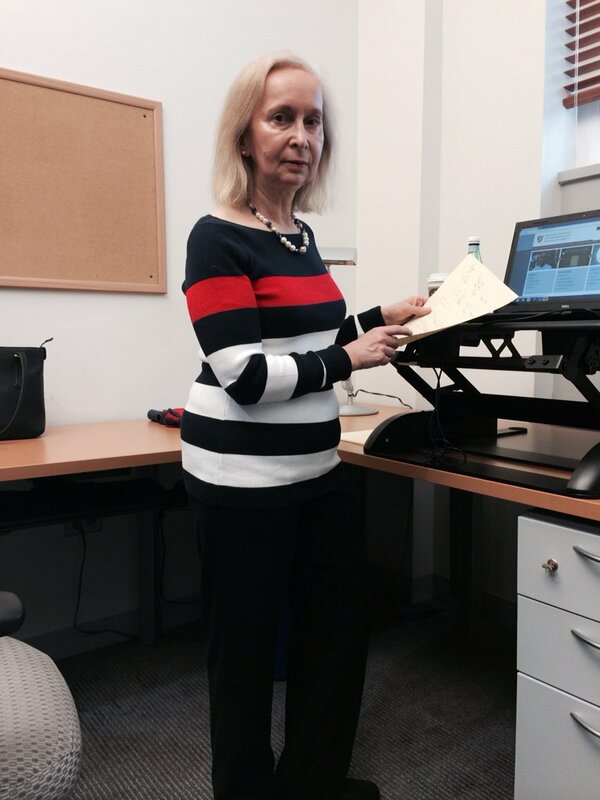 Other exemplars of my former Isenberg School PhD students include: Professor Tina Wakolbinger, who became a Full Professor at the Vienna University of Economics and Business only 4 years after receiving her PhD, and is heading a Supply Chain Research Institute and is responsible for several programs. She is heavily involved in humanitarian logistics research, and is supervising several doctoral students (so the academic family tree is flourishing). And, closer to home, Professor Jose M. Cruz, who received 5 degrees from UMass Amherst, including an MBA, and is a tenured Associate Professor at the School of Business at the University of Connecticut, has received multiple awards, from being named an Ackerman Scholar twice, to multiple teaching awards at both undergraduate and graduate levels, and even a service award. His research focuses on supply chains and environmental issues as well as corporate social responsibility. He is the Director of the very successful Master of Science Program in Business Analytics and Project Management! You can read more about this highly ranked program here. 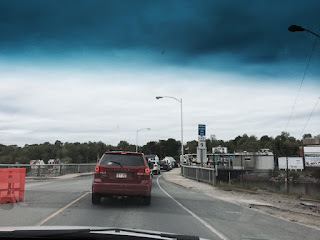 It took us three days of driving to get to Halifax, Nova Scotia from Amherst, Massachusetts on a journey through Calais, Maine; St. John and Sackville, New Brunswick, and then to our destination. 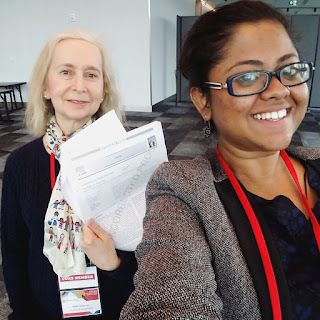 Although I was born in Canada, I never was in the Atlantic provinces before so when the announcement went out for the Canadian Operational Research Society (CORS) conference, I was intrigued and was delighted when two of our papers were accepted for presentation. In addition, my doctoral student, Pritha Dutta, had another paper accepted for the CHOW Workshop. 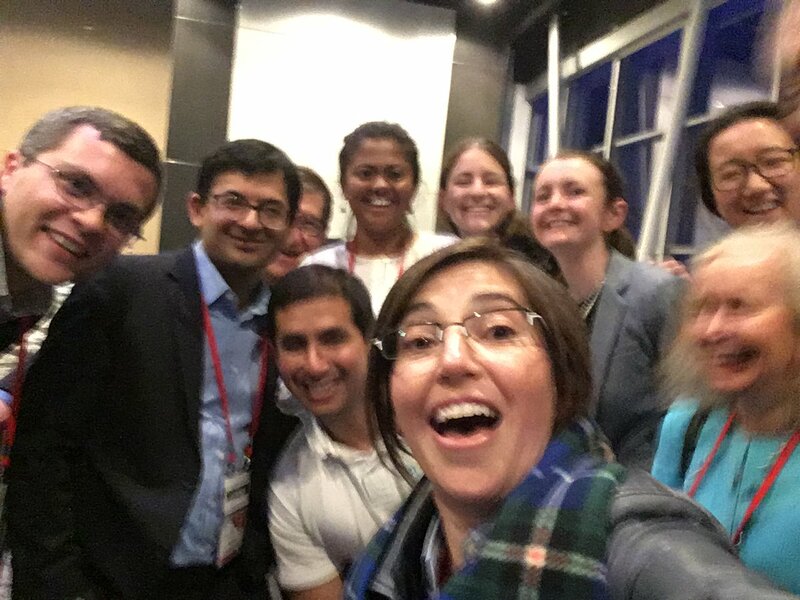 Amazingly, on the first day of the conference, we heard that the above paper was accepted for publication in the journal Omega and yesterday we even got the galleys, which we corrected today, and took the selfie below to celebrate. The weather was quite cool and rainy, for the most part of the conference, the warmth of the conferees and locals was very welcome. 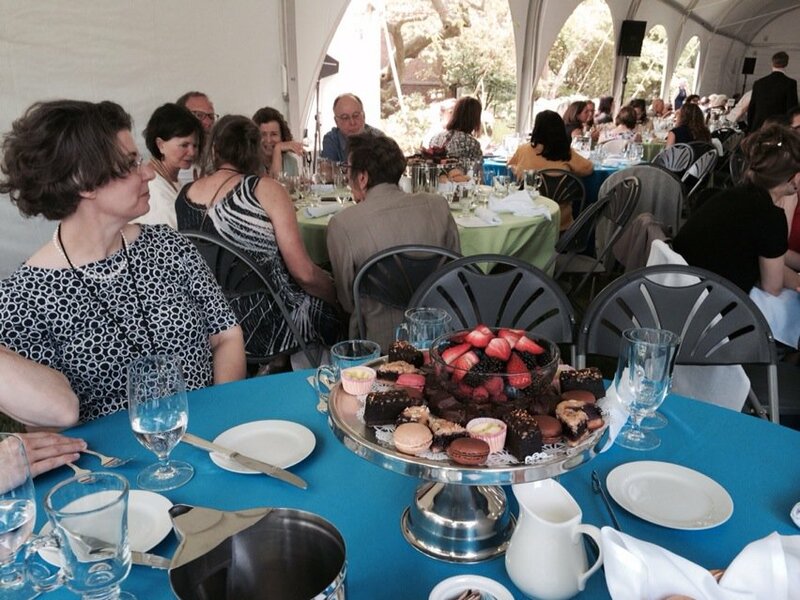 The attention to detail by the conference organizers should be lauded - from their responsiveness to queries to the excellent snacks and a banquet complete with lobster and blueberry cobbler with ice cream for dessert. So we wore bibs. I was very pleased that my Isenberg School of Management colleague, Professor Nikunj Kapadia, also spoke at this conference (his very first OR conference) and commented on how nice and friendly our OR community is, which I fully agree. It was extra special to see Professor Mark Daskin, an INFORMS Fellow and member of the NAE, and also Professor Martin Puterman of UBC, also an INFORMS Fellow. Professor Puterman had taught at my School of Management for two years (before my time) and he told me that the first seminar he ever gave after getting his PhD from Stanford was at my alma mater - Division of Applied Math, Brown University. I thoroughly enjoyed all the talks that I attended, and wish that I could have been at several parallel sessions at the same time! A highlight was the Harold Larnder Prize lecture given by Professor John Birge, who is also a member of the NAE and an INFORMS Fellow. The title of his lecture was: Can Big OR be Bigger than Big Data? 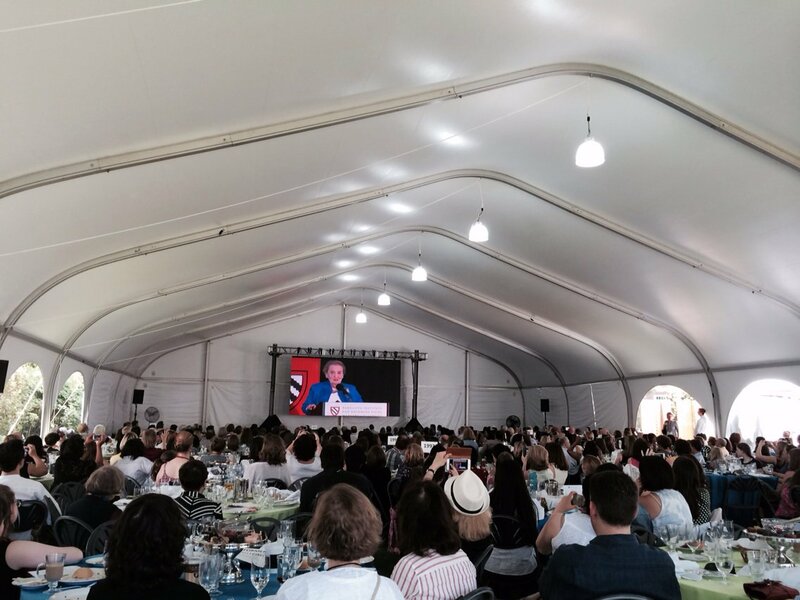 He emphasized that what we do in OR is to improve people's lives. He also noted that the promise of advanced "analytics" in its various forms is being realized. 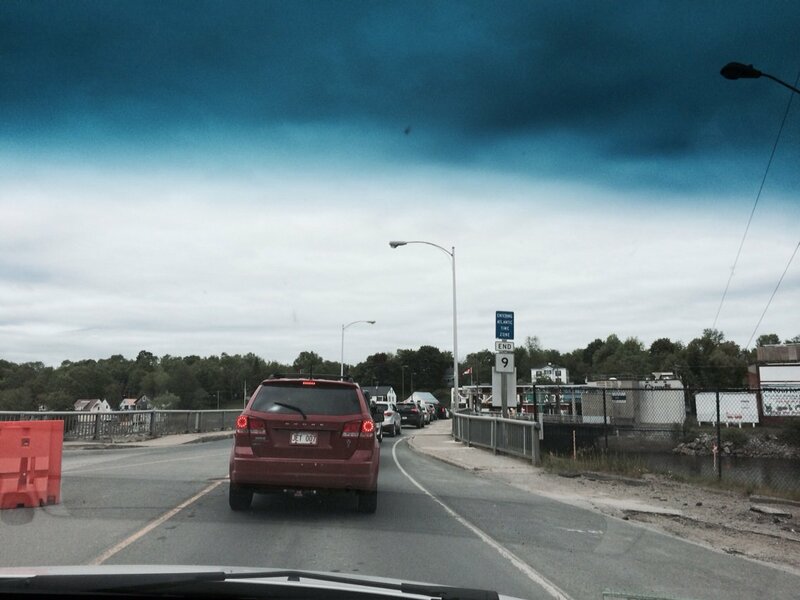 However, according to him, unfortunately, OR is not as widely identified with the gains from recent trends. He also emphasized that realizing OR's potential depends on all of our efforts. He displayed a Google trends chart plotting terms such as machine learning, AI, neural nets,and OR. He discussed Alpha Go and stated that machine learning is essentially stochastic optimization. He also noted that what OR can add is that we focus on the objective and take a comprehensive view and also how the objective relates to sets of parameters and any other conditions (constraints). He also stated that we ensure that the analysis is consistent with "laws" such as the law of one price and even mentioned equilibrium, which was thrilling because my group has for years focused on a variety of network equilibrium problems with fascinating applications, including supply chain ones in healthcare and disaster relief. He made several very interesting suggestions as to how we can "improve" from considering BIG projects and working with collaborators (something that I concur with as is also the focus of the Supernetwork Center that I founded at the Isenberg School at UMass Amherst). My colleague, Professor Fatma Gzara of the University of Waterloo, then asked the first question as to why analytics had not also been included. At our table, Mark Daskin mention decision science as also a relevant term for the work that we do. It was great to see colleagues that I had seen at other OR conferences, including the September one in Berlin, Germany, and to meet even doctoral students from various universities. A special treat was a selfie taken by Professor Dionne Aleman of a group of tweeps. She served as the amazing CORS President for the past two years. Special thanks also to the event manager for helping the CORS 2018 conference in Halifax be so enjoyable! And today, once the rain stopped, we enjoyed a glorious walk in the Halifax public garden and along the historic Citadel and then downtown saw a colleague of mine from sports management, who had just arrived for another conference in Halifax and was wearing a UMass Amherst hat!